On the heels of the first technical preview being released yesterday, Google has published the official Support and Release Notes for Android N. The lengthy page outlines known issues with the release as well as performance issues that users may encounter with this first release of the next generation of Android. As I put in the announcement of the preview yesterday, this release is not for the faint of heart and certainly not ready for your primary phone or tablet. It has a lot of issues that you would expect at this very early stage and this document outlines a lot of them. In the notes, Google outlines some general issues that users may encounter as they test the platform. System and app performance is known to be periodically slow / janky, and device may become occasionally unresponsive. These problems may become more acute with prolonged use. This early build is not Compatibility Test Suite (CTS) approved. Apps that depend on CTS approved builds (Android Pay for example) won’t work. This preview release supports the following devices: Nexus 5X, Nexus 6, Nexus 6P, Nexus 9, Nexus Player, and Pixel C.
What is interesting in these general advisories is that the release is not CTS approved. Think of this as the policy enforcement mechanism in Android for access to key parts of the platform or applications. It is all about security and given that Android Pay leverages CTS, it will not work in Android N currently. Further into the document, Google outlines other performance related issues that you may encounter while testing N on your devices. These have to do with overall performance and battery life, both of which tend to suffer greatest in these early releases. Users can also expect there to be challenges with the Bluetooth, the keyboard, video performance and Wi-Fi. Again, none of these are really surprising. Many of these same items struggled in the early days of what would become Marshmallow. After migration to N, or after the user creates work profiles, work profiles can’t create keys in the keystore until the user changes their pattern, PIN, or password, or sets up a Work Challenge. In Direct boot mode, applying the passcode restrictions to the device causes the work profile to be unlocked, even though the device is locked. This makes the work profile accessible even though it should be protected by the device lock screen. When the user enters a wrong password and pin, the system does not display any informational message; instead, it only clears the input field. This issue does not affect pattern or fingerprint input. On a tablet, the background displayed with the work challenge is disproportionately small. The version of Google Apps Device Policy that is bundled with N Developer Preview does not yet support the Work Profile Security Challenge feature. Developers should instead use TestDPC to test this feature. If Always On VPN mode is turned on, but VPN is not available, apps not specified as exceptions to the Always On policy connect over the ordinary network. Unless specified as exceptions to Always On VPN policy, apps should be offline if they have no VPN connection available. When Always On mode is on, a VPN connection is not established after a device reboots into Direct boot mode, even after the user unlocks the secure lock screen. Bluetooth PBAP/MAP devices do not display Caller ID for work contacts. The next release of Preview resolves this issue. 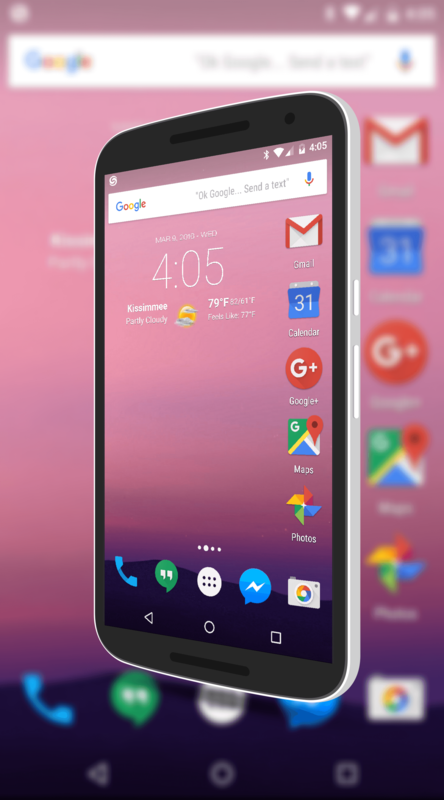 The Google Now Launcher does not display whether Work Mode is on or off. The Launcher also does not show app suspension state. After the user turns Work Mode off and on, the system no longer shows Work profile app widgets, such as Calendar. Device admins can suspend critical system packages, which may lead to unexpected behavior, such as placing calls despite the Telephone disabled dialog’s being displayed. The Settings app crashes on launch if DISALLOW_MOUNT_PHYSICAL_MEDIA is set to true when the user inserts physical media such as an SD card. The first check-in in a Work Profile takes several minutes to complete. This may cause the device to take longer than normal to be visible in the Play EMM API. Notifications from Work Profile apps are not visible to notification listeners installed in the personal profile. As a result, the system does not display Notifications as expected. There is a lot of content there but the bottom line is you are going experience performance, VPN and work state issues right now if you use the service on Android N.
These release notes will be updated with each subsequent build of Android N and this list of issues will likely get shorter. If you decide to get in on the beta, just go into it with your eyes open. While early reports have been positive, there are issues and you need to make sure you are willing to take that on before loading it up.